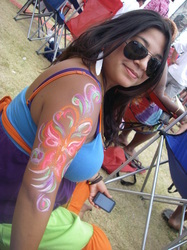 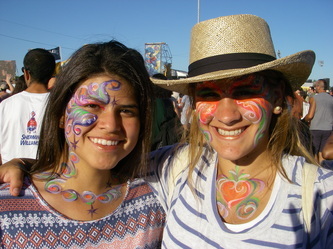 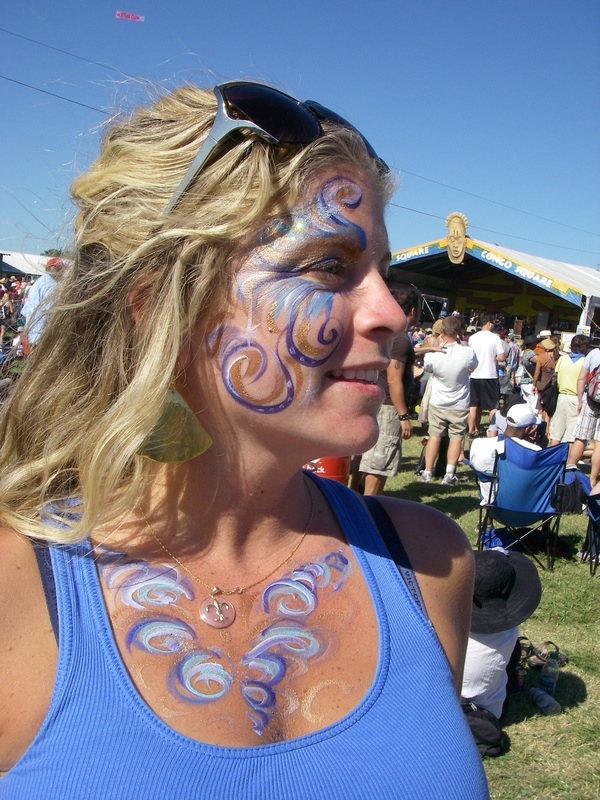 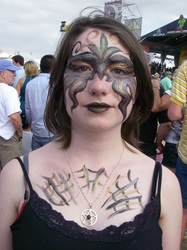 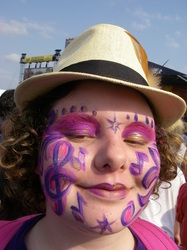 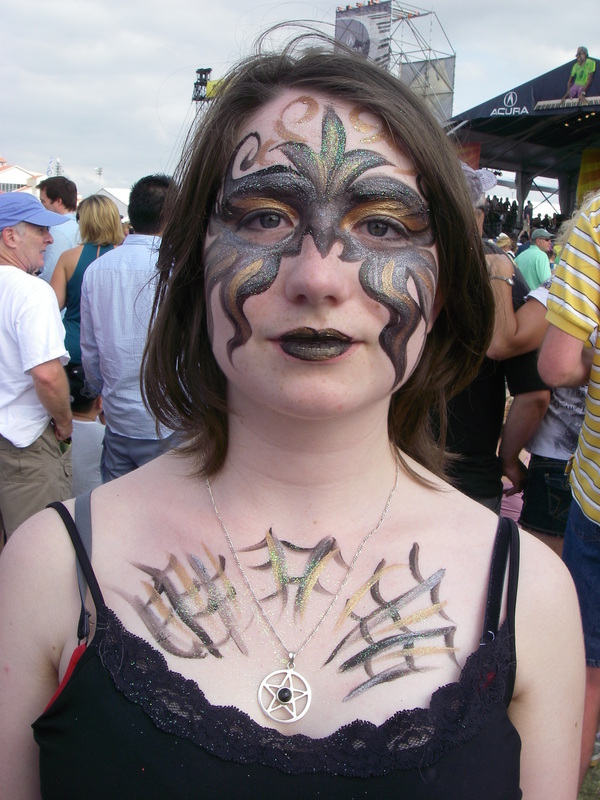 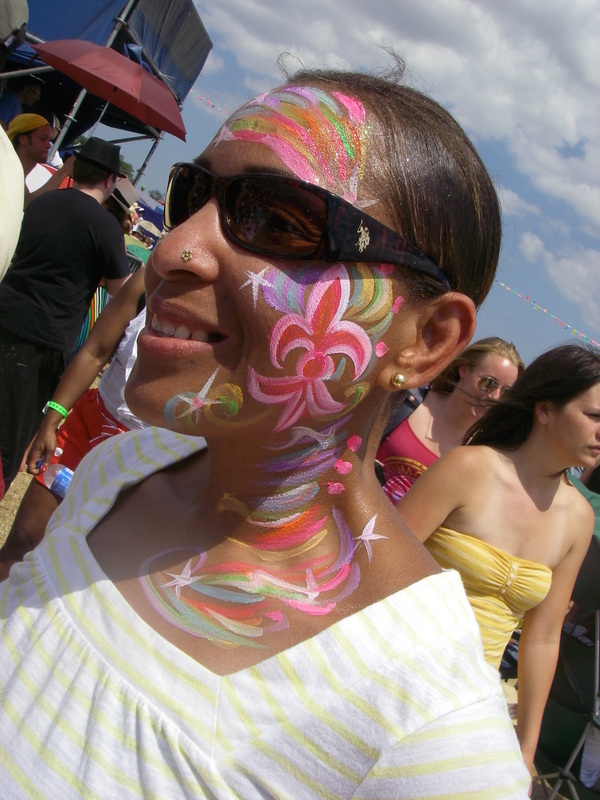 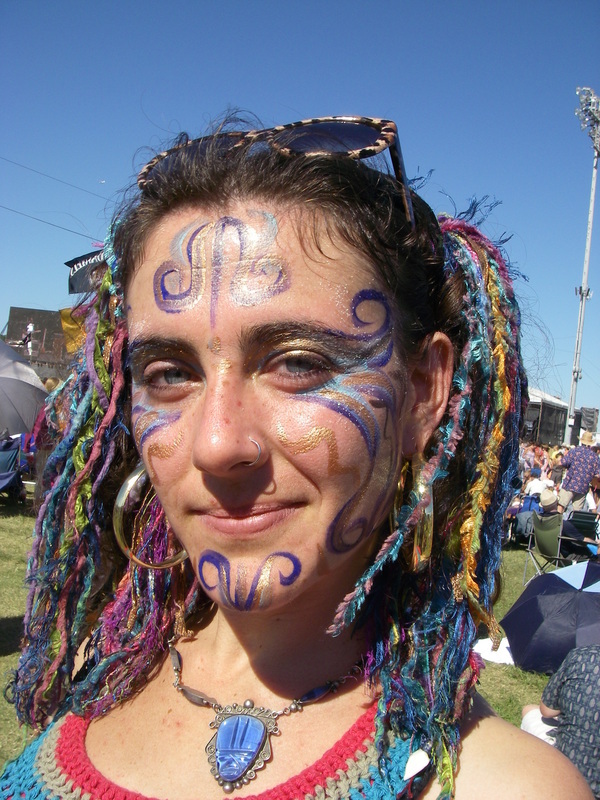 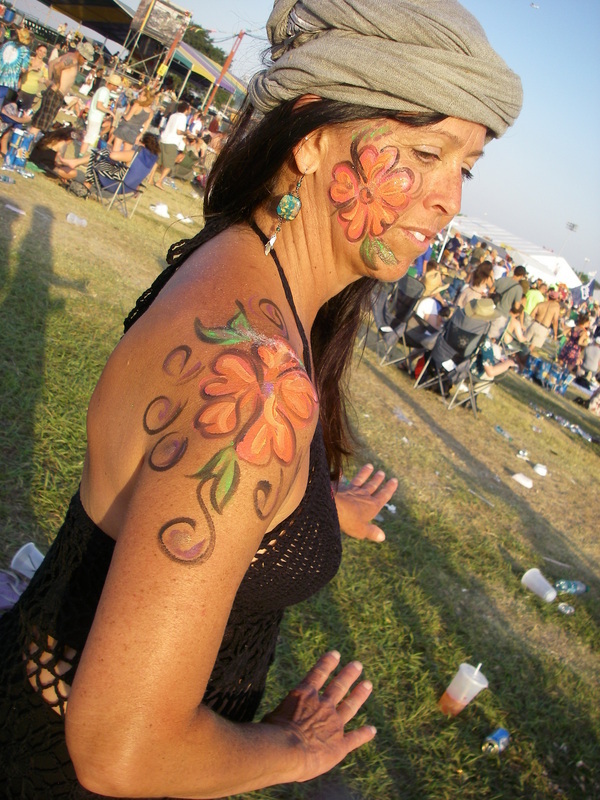 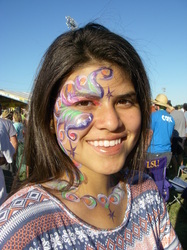 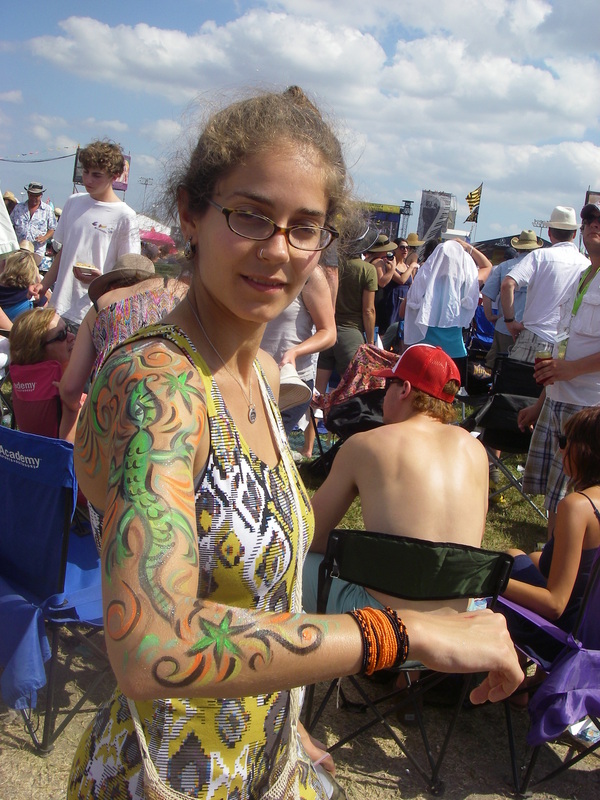 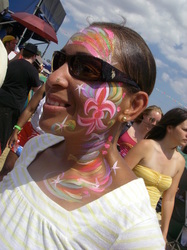 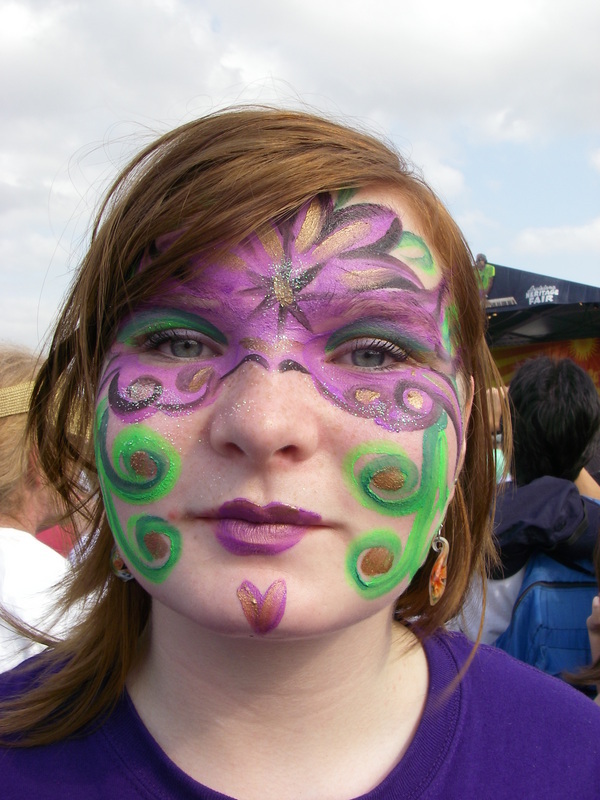 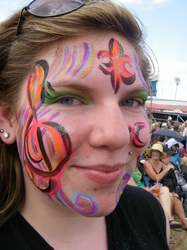 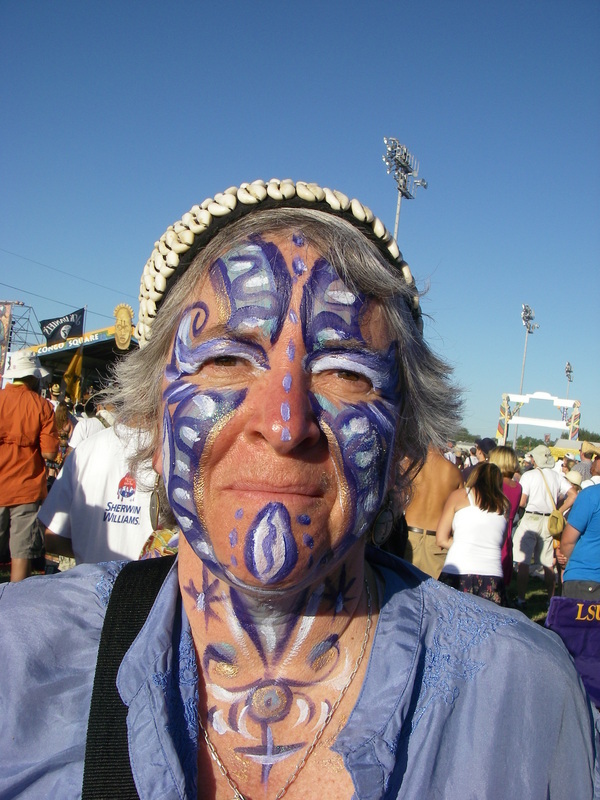 2011 was my 10th Jazz Fest! I volunteer for the info-booth #2 at Jazz and Heritage Stage every day 11-3 pm, and walk around festival grounds 3pm-close. 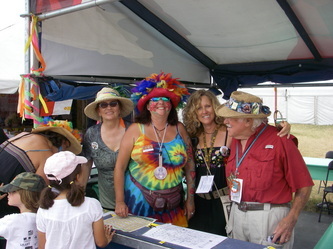 EVERY YEAR - THE SAME THING, so I am easy to find...or you can call me and I can meet with your group after 3 pm. I love watching Mardi Gras Indians get together for their parades and sometimes I paint kids who are in the parades. 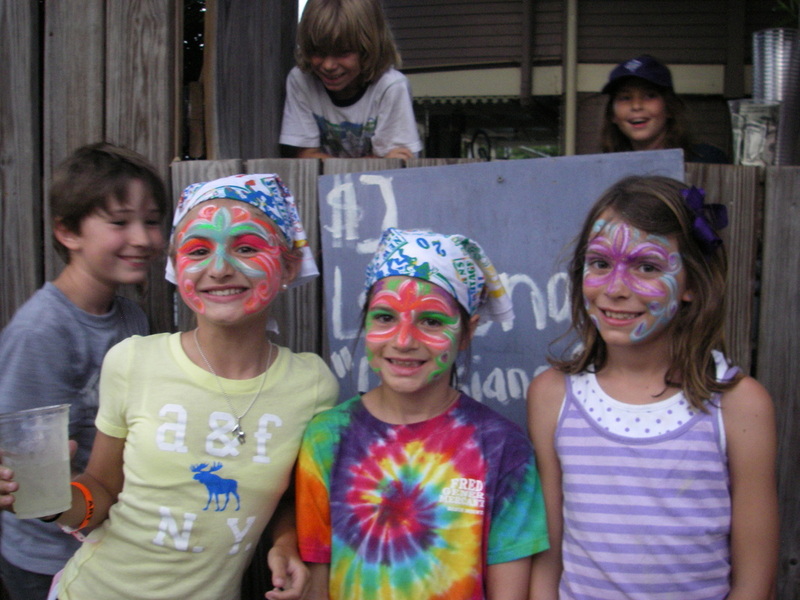 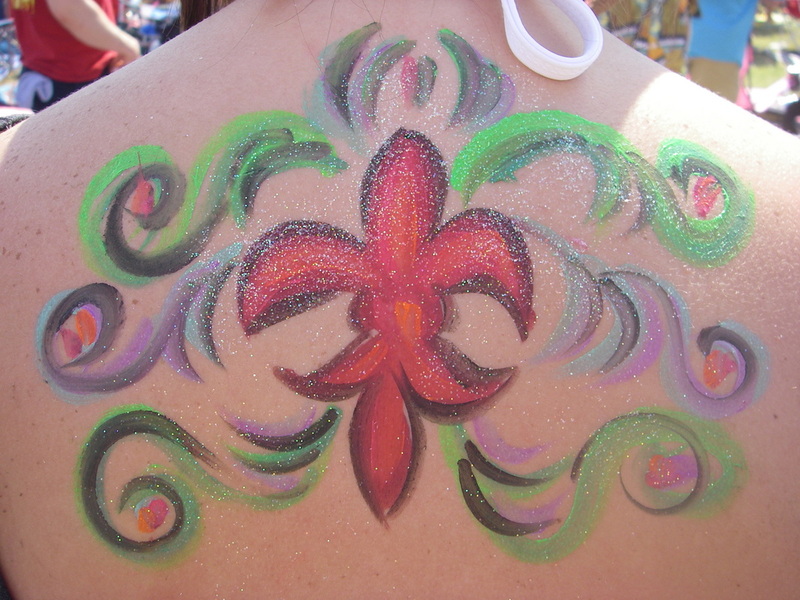 People who know me stop by and get painted. 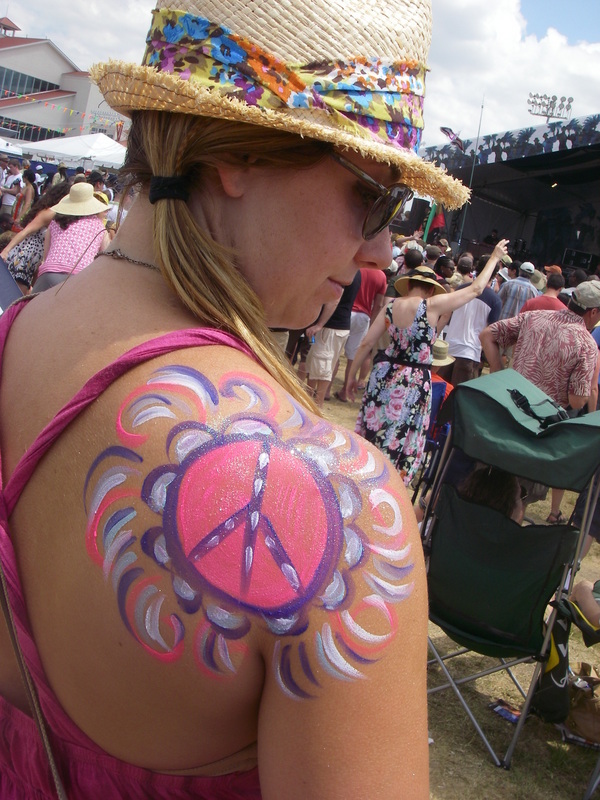 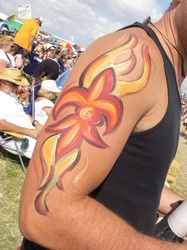 I do a lot of arms, belly-buttons and backs during Jazz Fest, as it is really hot and people show a lot of skin. I am also available for parties Mon-Wed and after 8 pm any day. 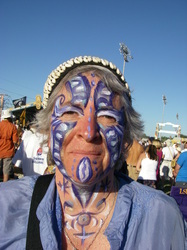 Been there -done that, I LUV JazzFest! 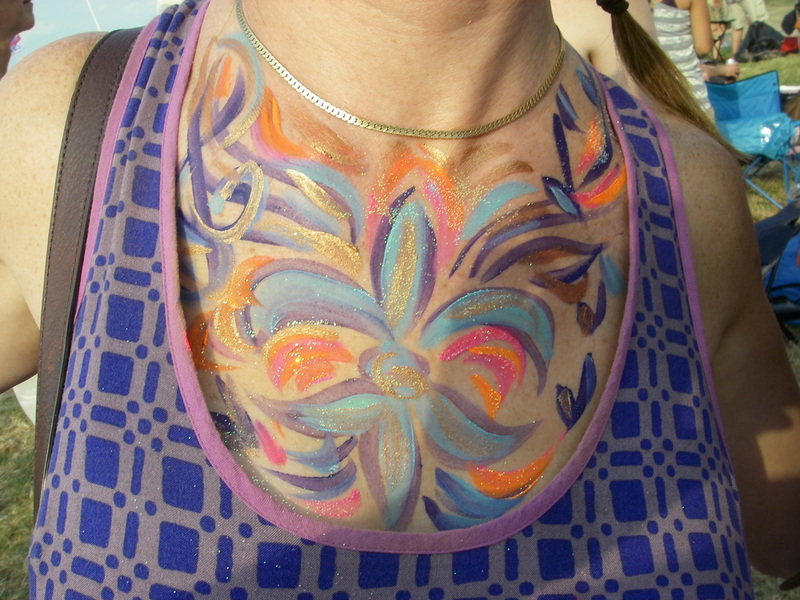 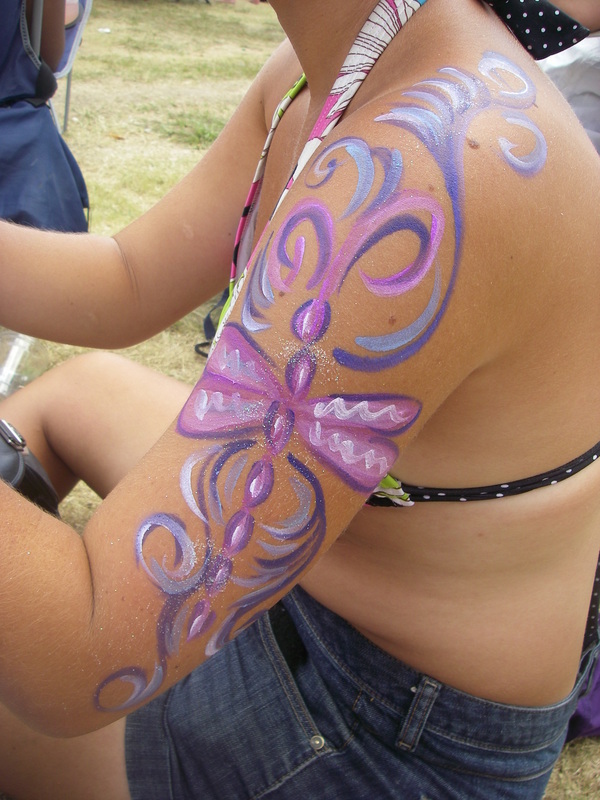 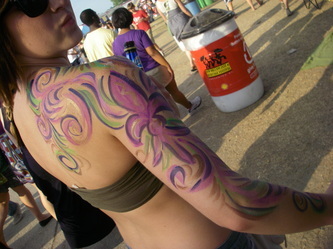 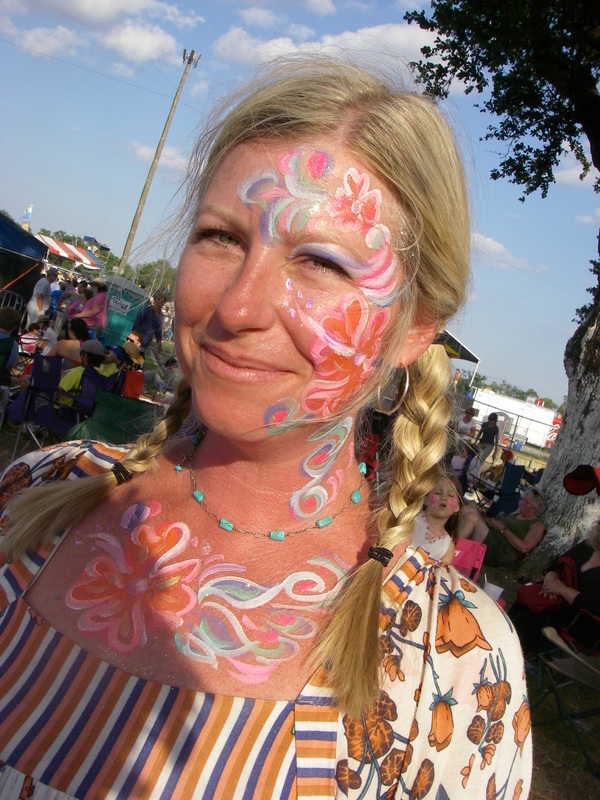 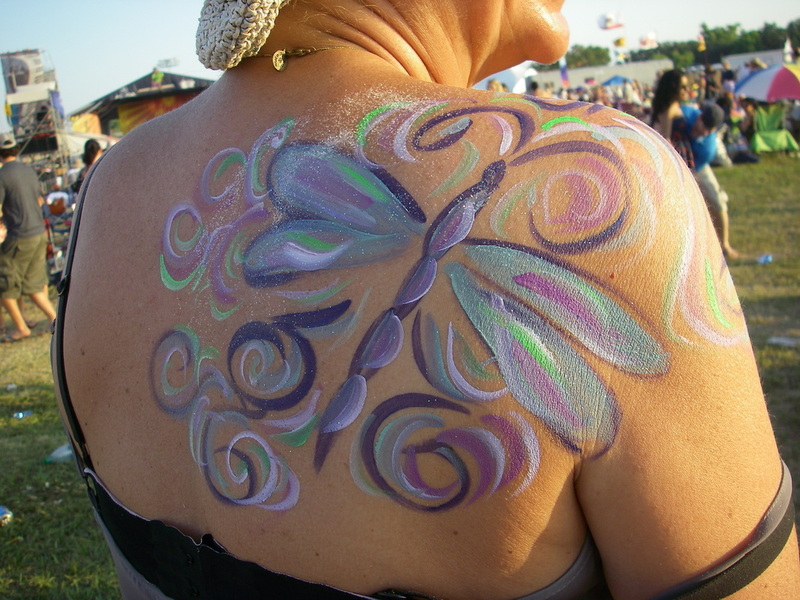 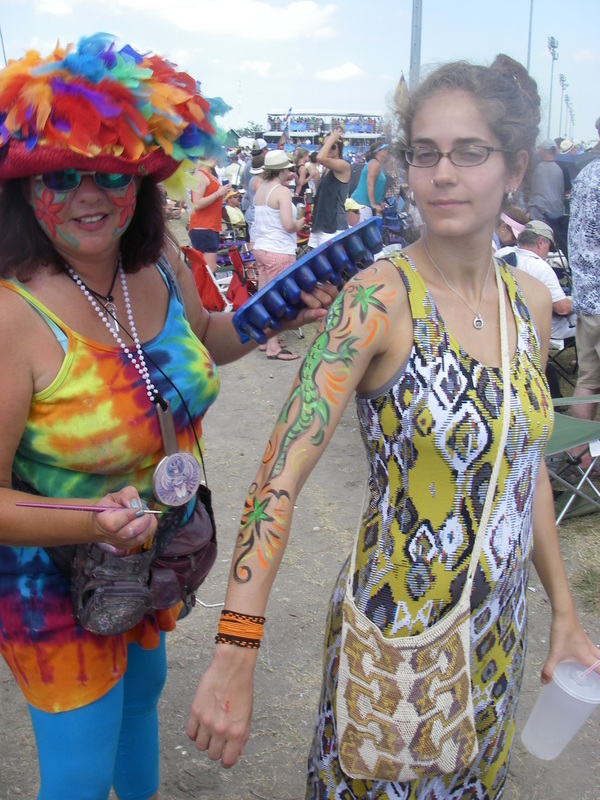 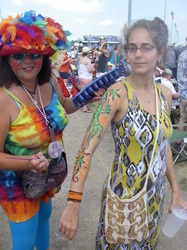 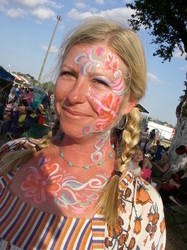 I don't do full body painting at public festivals., but if you have bathing suit on - it's doable.